Bouncing House Rental, started in Natick, MA is a family owned business, on June 2012. 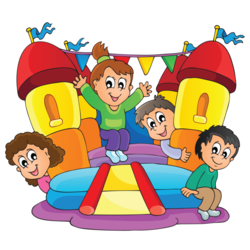 We enjoy our work, specially when we see the happy look on kids faces once they see the bouncing house standing up from the ground. We would welcome the opportunity to earn your trust and deliver you the best service in the industry. For event reservations for renting a jumper, Combo unit, Balloons, kids Chairs, kids Tables, Pop Corn Machine, Cotton Candy Machine, Balloon Twisting, face painting, we added also linen rental service. just order online and we will take care of the rest!